“John Hundt brings seamlessness to his work in such a way that no matter the absurdity of the combination, his constructions are completely believable in their respective contexts,” writes Deirdre Madeleine Smith. 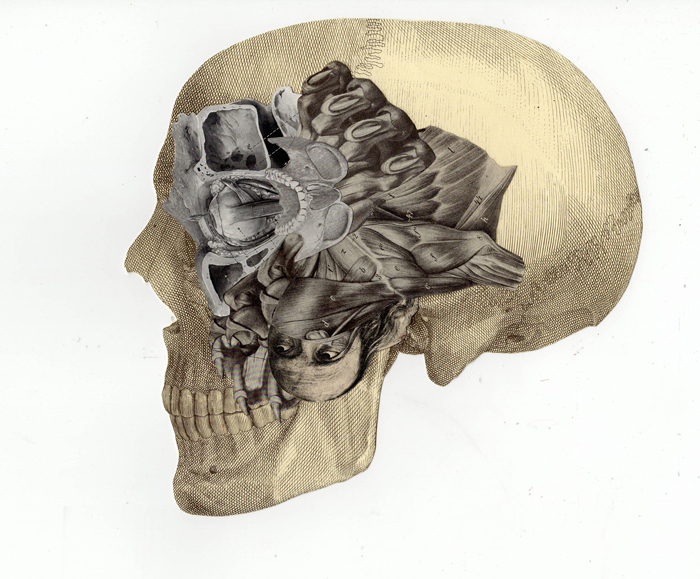 Hundt lives and works in San Francisco & Santa Rosa, California. He exhibits at Jack Fischer Gallery (San Francisco); 2731 Prospect Contemporary Art (Cleveland, Ohio); Aeterna Gallery (Los Angeles); Hammerfriar Gallery (Healdsburg, California); and regularly in select group shows. 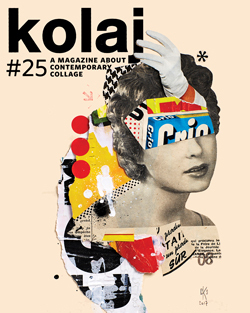 Cory W. Peeke reviewed the gallery catalog, Implications-John Hundt, in Kolaj #2 and Steven M. Specht included Hundt in his article on minimalist composition in contemporary collage in Kolaj #14. 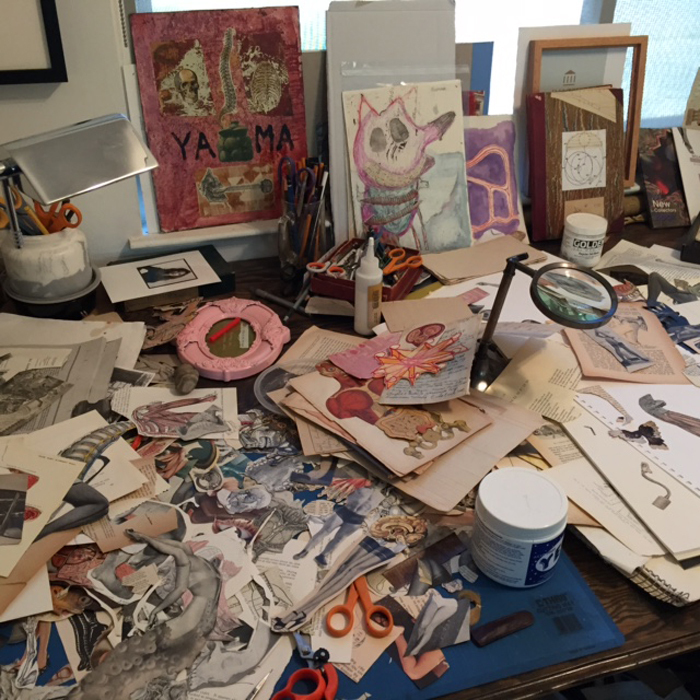 We asked Hundt to tell us about his studio. My working schedule is very strange to some. I can be up for three or four days straight working on things. I work best in the wee hours and my wife can’t come at me with “honey do’s”. We have three terriers that flit in and out at their leisure. I keep my contact with people to a minimum, preferring being alone. Although I have shelving and storage for organization purposes, I rarely use them. Chaos is my rule. I work best under chaos, because I never know what might come out the other side. I have tried keeping source material stored away, but felt my work suffered due to the “out of sight, out of mind” effect. This way forces me to reconsider a piece pre-gluing. 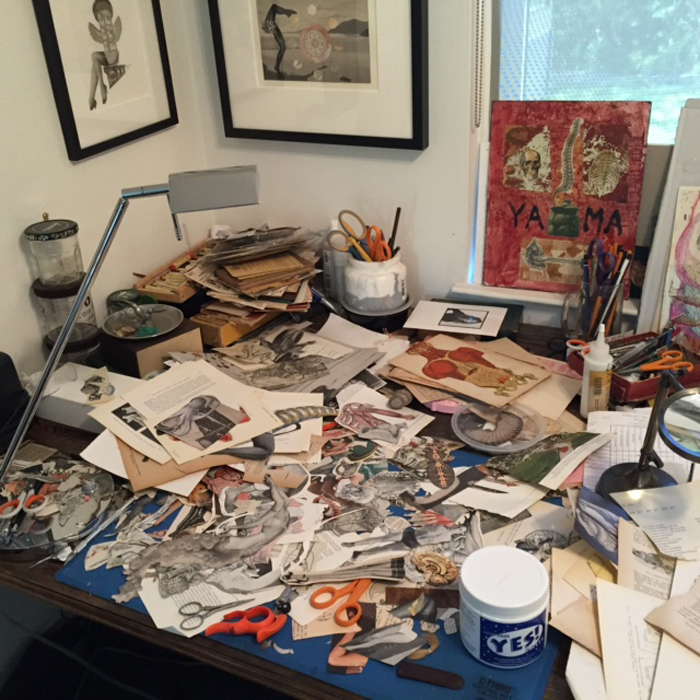 Although my studio and work space are in disarray so much of the time, I consider the work that comes out of it as a meter as to whether or not it works. I suppose my pieces being on pristine backgrounds is a way of counteracting the messiness it comes from. 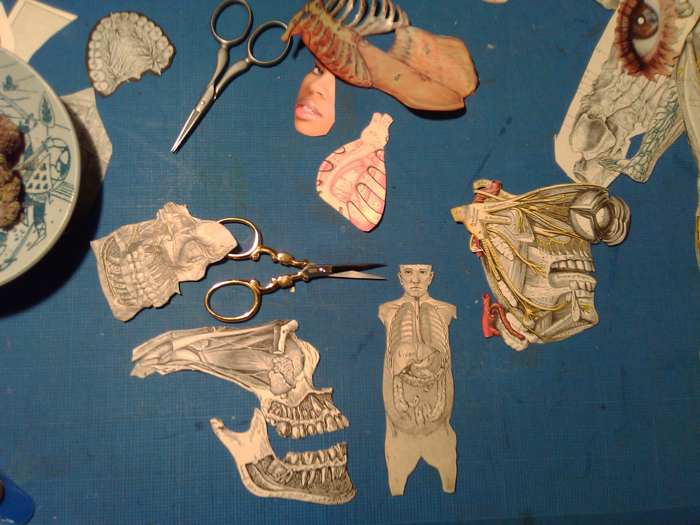 See more of Hundt’s collage at www.johnhundt.com. 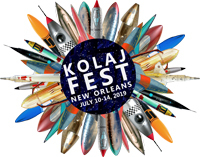 In the Studio is an online-only feature of Kolaj Magazine. If you are interested in being featured, visit the In the Studio Call to Artists page. 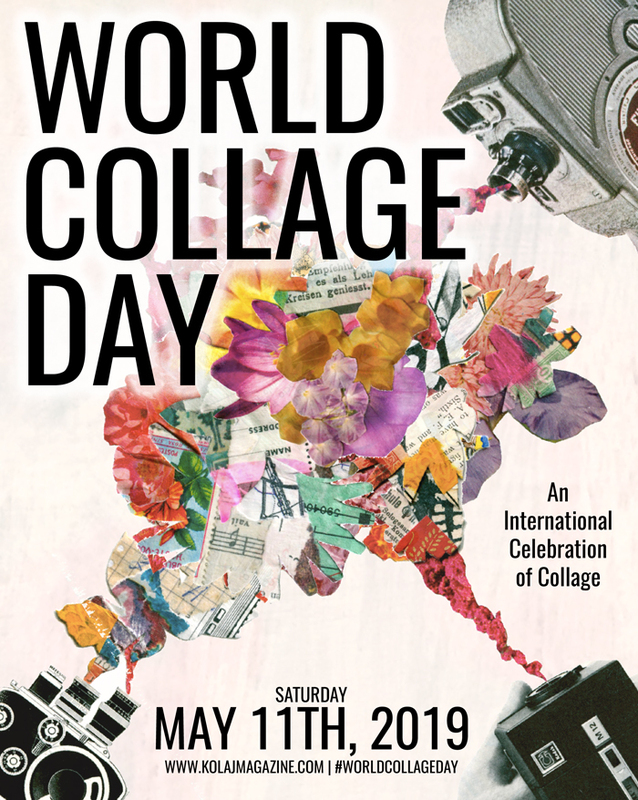 Kolaj Magazine delivers a look at the wonderful world of contemporary collage: the people who make it and the people who love it. Subscribe and get your copy today.